Pioneers in the industry, we offer calcium chloride based co2 plant from India. 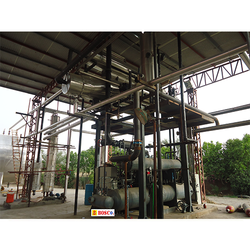 BOSCO can supply co2 plant of different capacities from different sources like CACL2 Based, Chemical plant, Boiler Chimney Stack gas etc. Bosco can supply FOOD GRADE ISBT STANDARD CO2 plant from any sources. Looking for Calcium Chloride Based Co2 Plant ?